Halswell Bakery could be ‘The Wedding Bakery’, with its comprehensive approach to fresh, bespoke and competitively priced cakes and delicious delights for every step of your journey to the altar. 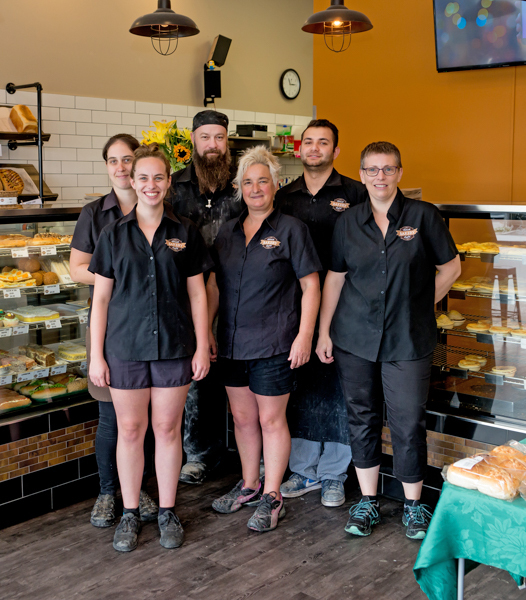 “We make everything at the bakery, so every detail can be specific to you and your wedding theme,” owner Ruth Buckley says. Cakes are modern rustic in style and, along with cupcakes and biscuits, can be personalised to fit in with your wedding theme. The club sandwiches are legendary and would make a great platter to take on your wedding day photoshoot. Its baked-goods are so budget-friendly you could have everything from croissants with your champagne breakfast, to personalised cakes, cupcakes or biscuits for your engagement or pre-wedding functions, and even bespoke breads for your day-after wedding barbeque. The Wedding Bakery indeed.